Until Christmas ;) lol. With the amount of snow we've gotten since Saturday, you would think it's almost Christmas time now. 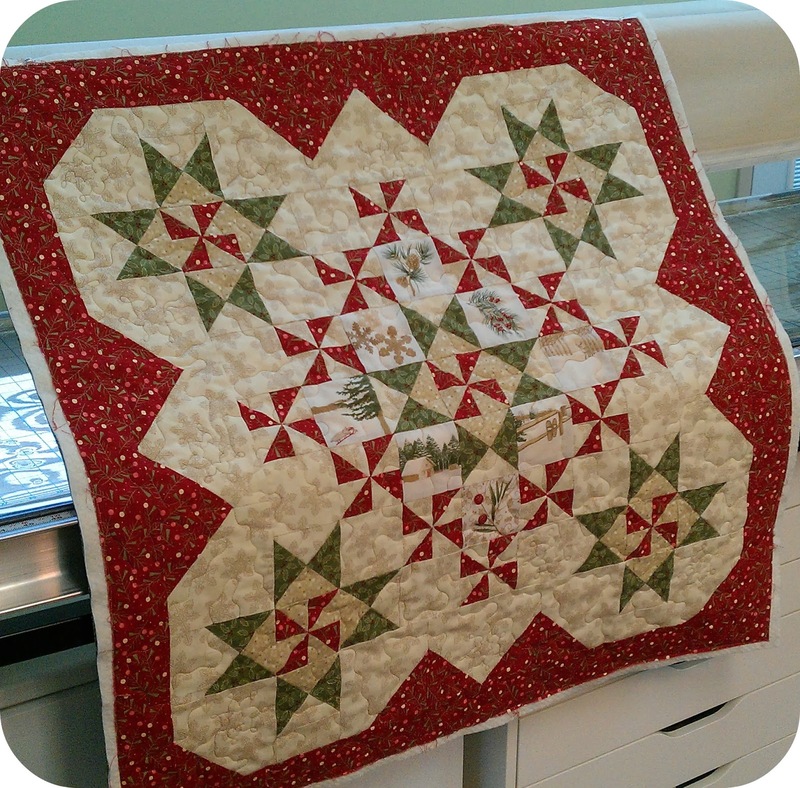 So what a better time to finally show the last few quilts I quilted up for clients to give as Christmas presents. Marie brought in this lovely table runner. 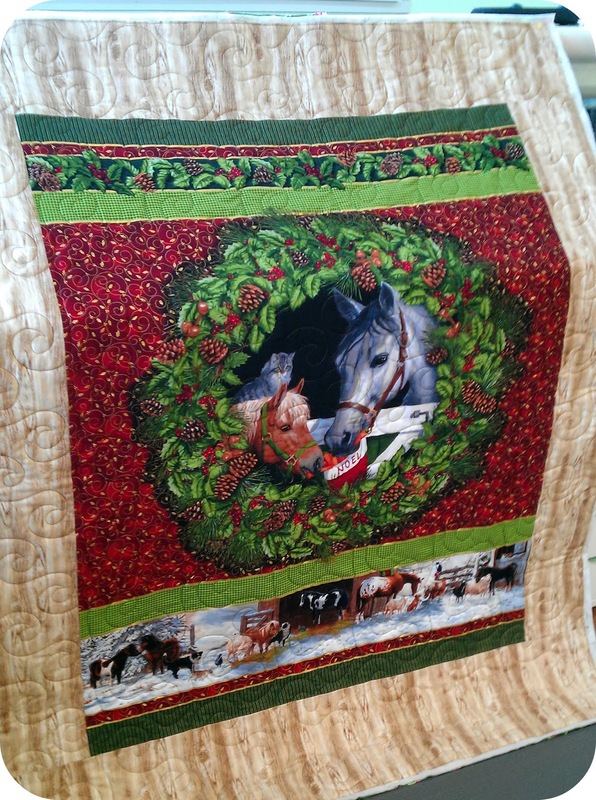 It was close to our cut off date for Christmas quilting but I couldn't not get it to her for Christmas. This is such a great pattern. 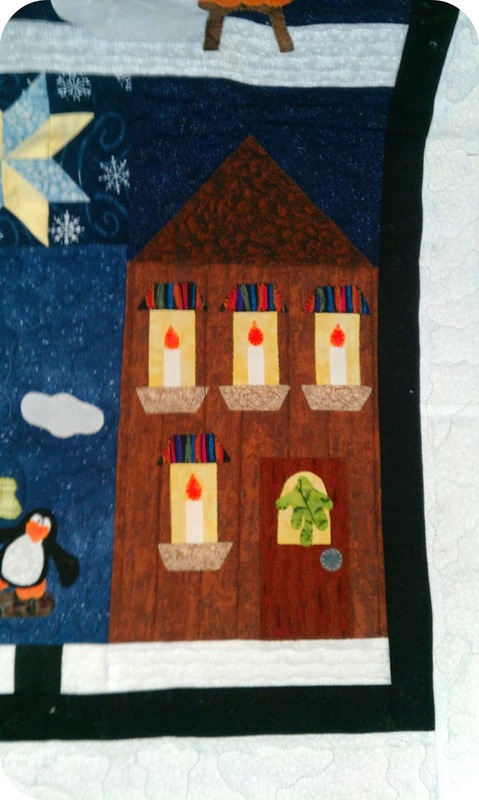 Sheila is Marie's daughter; she made the following quilts. 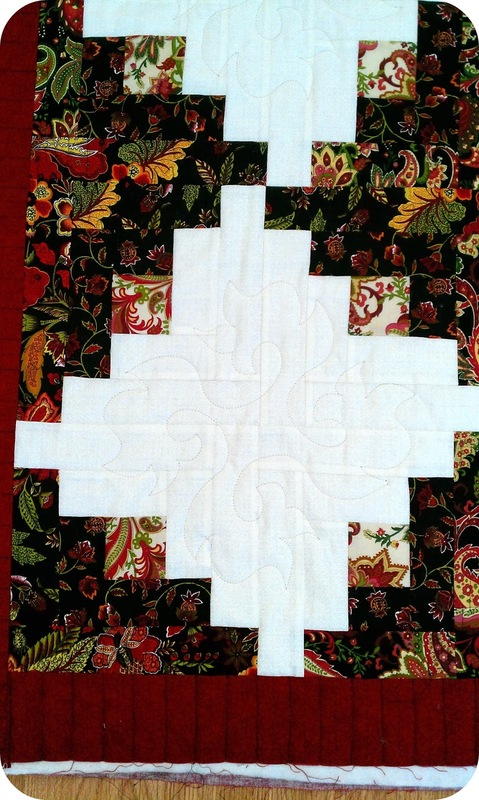 I did a motif in the white blocks and water stitched in the darker sections. A quick piano key of the border and it was finished. 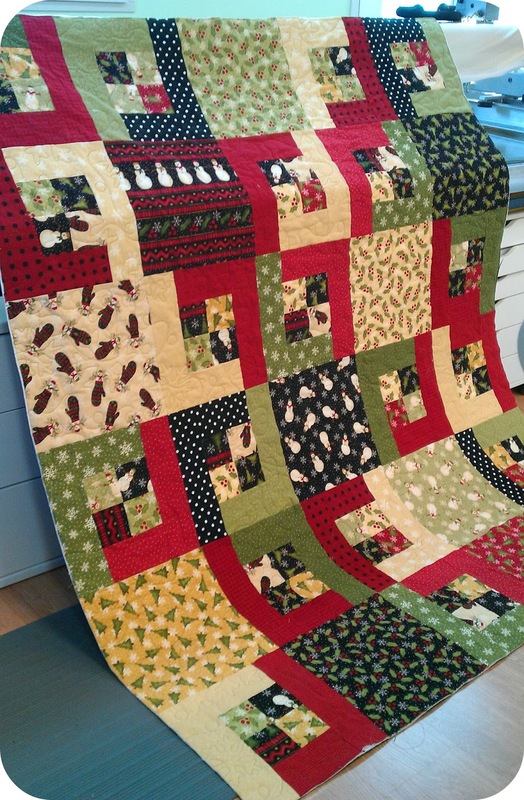 And this flannel snowman quilt. This little table topper by Nadia. 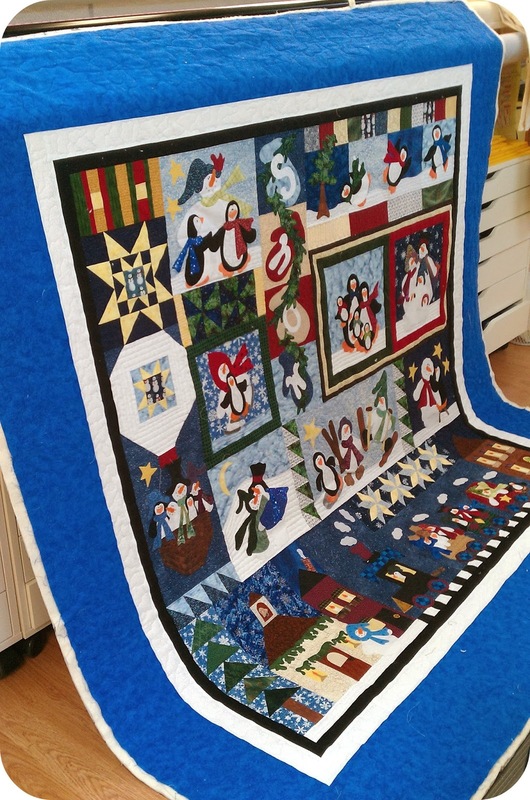 This fun string quilt by Nancy. 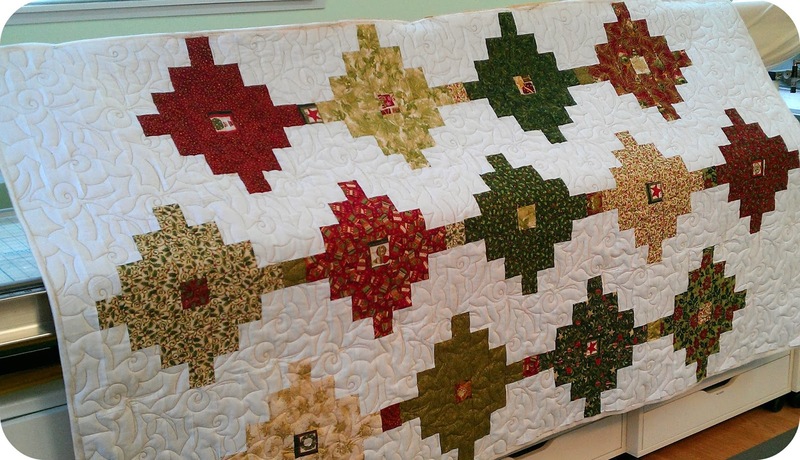 Because string quilts are foundation pieced, this quilt had some serious weight to it. Love how the pattern showed up on the back. 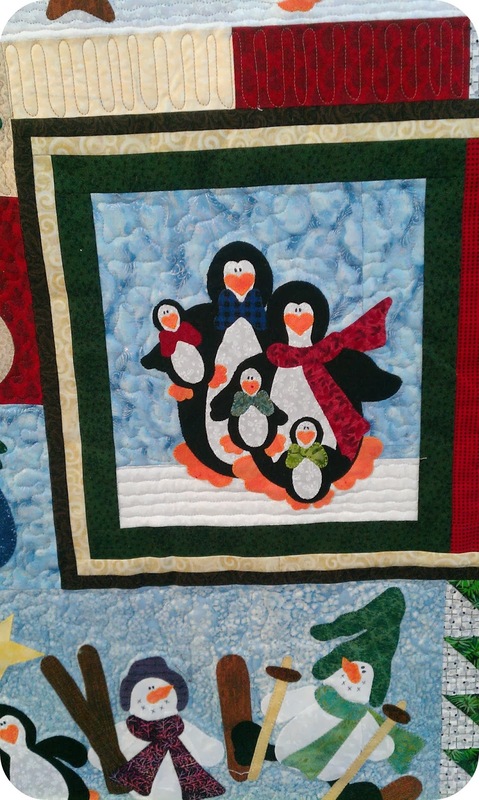 Lily did this snowman quilt. 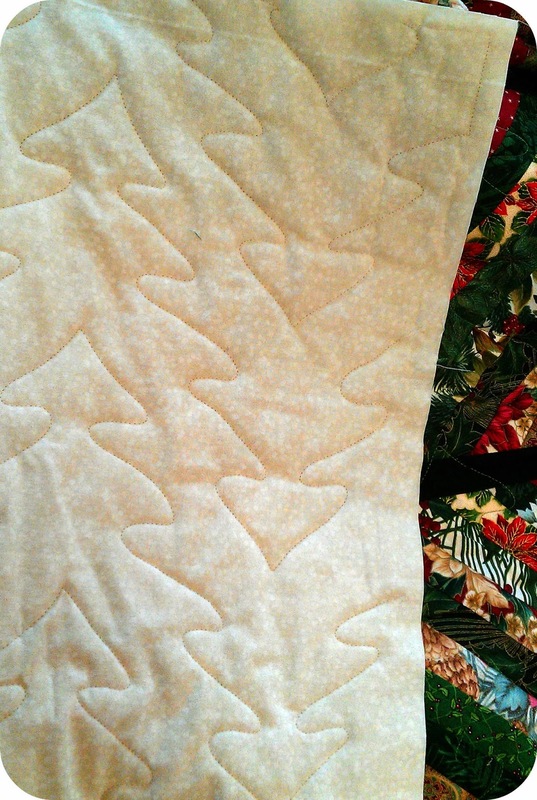 This is the 5th or 6th of these I have quilted; could probably do one now with my eyes closed lol. 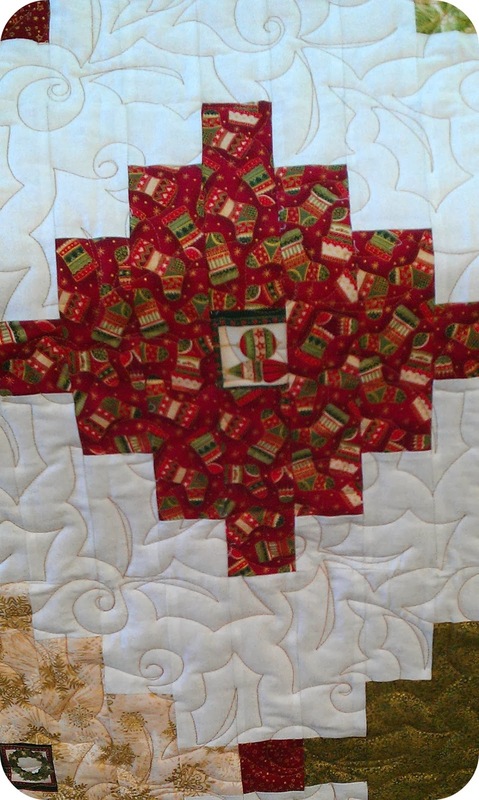 Lots of echo quilting and meandering. I did a freehand meander with a star in the borders. 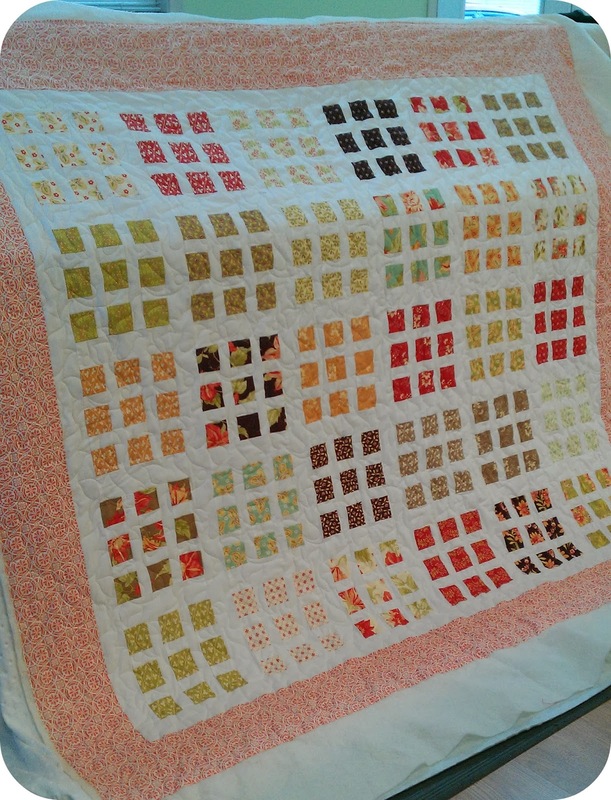 Lastly, another Marie made this for a friend of her daughters. That's it for Christmas 2013. 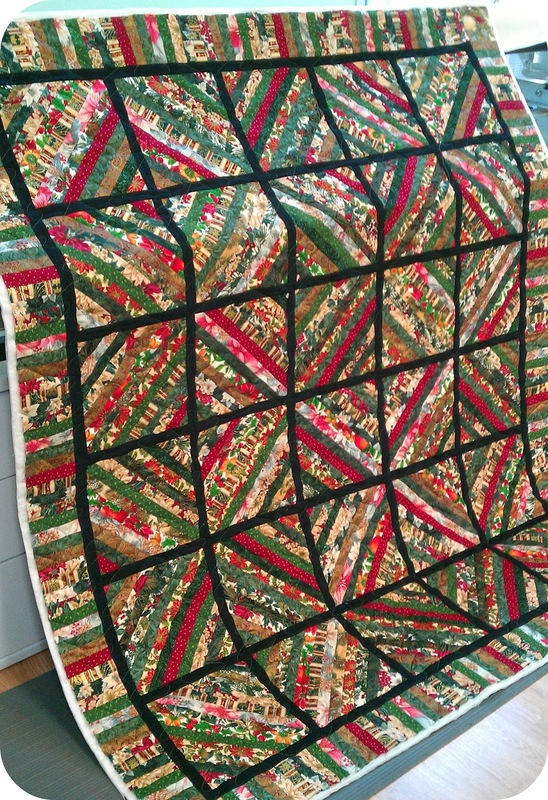 Before I know it, I'll be getting quilts for this Christmas lol. 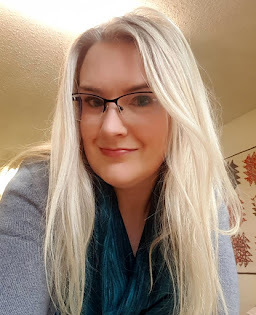 And I'll admit, I may have already finished a gift or two for this year! 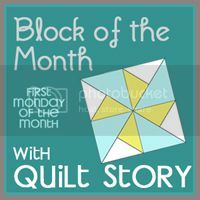 Those quilts are so gorgeous......lovely quilting. The snow is so deep and the temps so low that it's hard to fathom that March begins the end of the week!!!! !